Young Sam B is quickly making a big name for himself by shooting huge scores after only a few months in the sport. Keenly supported by Dad Zep (also a capable shooter), his mum and younger brother, Sam recently competed in the National Barebow Championships (a special tournament which takes place nationally but is shot in various locations around the country – in Essex, this was with Malgrave). Shooting a WA 18 round (60 shots at 18m on a 40cm face), Sam shot 341 points – a marvellous score – which secured second place in his category at the local competition, and a brilliant 9th in the overall national competition (according to the provisional results). Congratulations to Sam and support team for this fabulous achievement, so early in his archery ‘career’: we’re looking forward to many more! 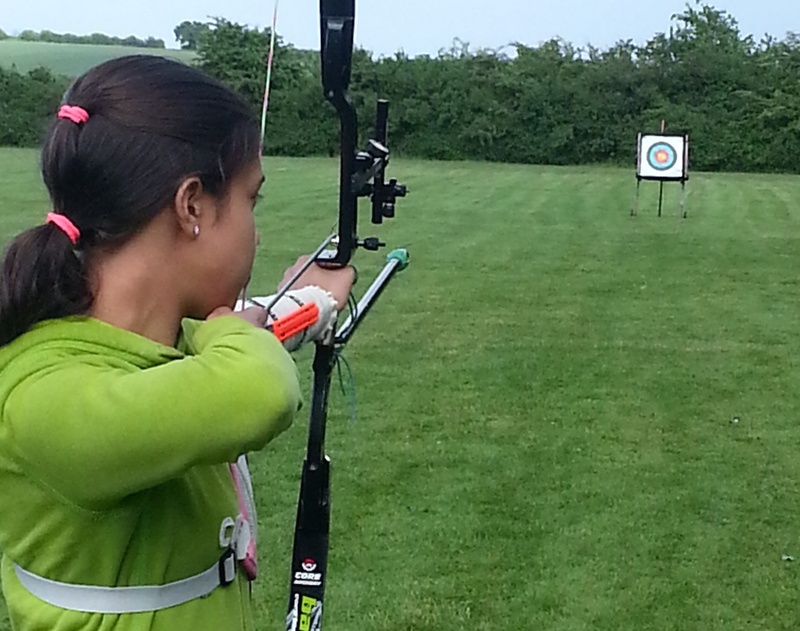 More info and results on Archery GB. 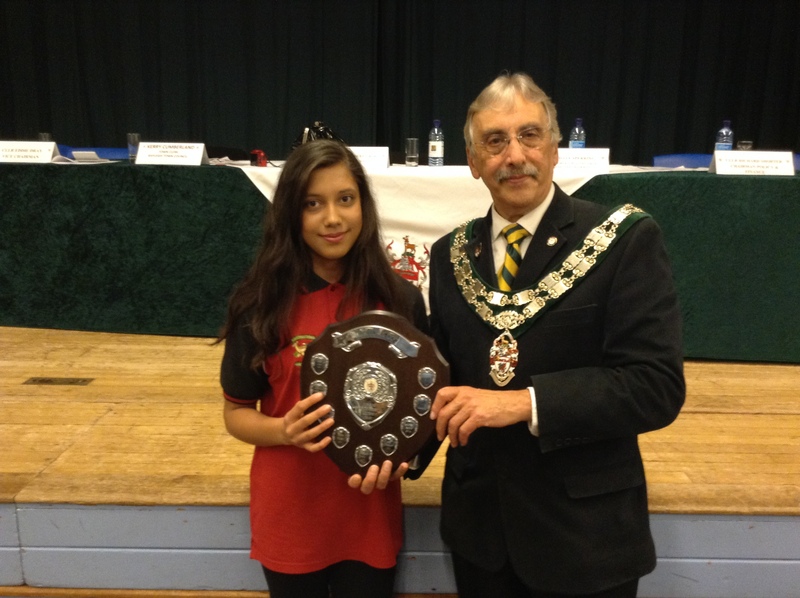 Rayleigh Town Archery Club is not alone in boasting a hugely diverse membership of enthusiastic archers – we are proud to welcome current and potential shooters of all ages and abilities. NB: embarrassing pictures of our subjects will be posted when available! 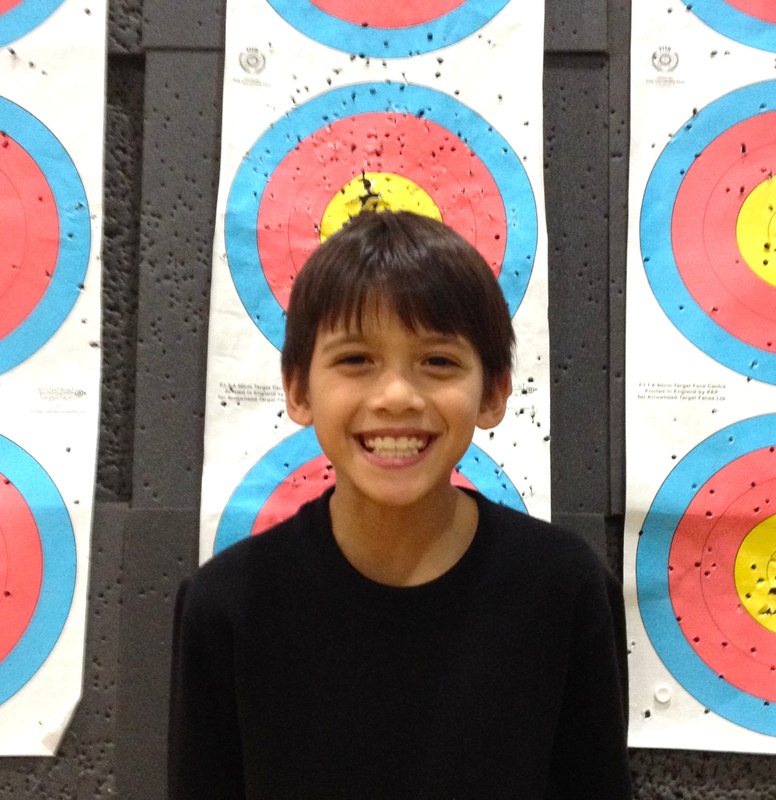 Q: How did you get started in archery, and how old were you at the time? A: I started by going to Deanes holiday club days, I was about 8yrs old, I enjoyed it so much that I kept going every school holiday. I joined RTAC when I was 9yrs old. Q: How’s it going at the Academy? A: I’m enjoying the Academy, it is hard work, but the coaches are great and we learn more than shooting techniques. We have to do exercises/shooting between camps, we have to keep a log which is sent weekly to our coaches. We have now been advised to keep shooting diaries for all training and competition, ie how we feel at 1doz, 2doz. What and when we ate/drunk etc…. Q: Can you describe a typical day there? A: We leave the hotel by 7.45 to go to the college, have breakfast. Warm ups start around 9am, we then get into our groups, then normally 2hrs technical session, these can include biomechanics , we all get together for an hour training this is so we can go through our weekly log. Then around 12.45 we have lunch after an hour it’s warm ups, back into our groups for more training. Back all together for an hour, afterwards back to our groups for and hour. All these session can include gym work, strength and conditioning, video analysis, the angles of our bodies/arms are measured, drills and actual shooting. We have dinner between 5.30 – 6.45pm. Then it’s back for technical drills and band work, cool down. We leave for the hotel at 9pm and are expected to turn hotel room lights out at 10pm. We also have lessons on nutrition, drugs, positive mental focus, dealing with media etc..
Q: Other than archery practice, what else are you expected to do for the programme? A: Strength and conditioning exercises at home, bow drills, keep weekly diary, shoot 200 arrows a day…equals around 20hrs a week. Q: How often do you shoot (and where)? A: I am lucky – Deanes school allow me to go in before school to practise, so I tend to shoot 4 mornings during the week (we have to have a day off), then I practise at home Saturday/Sunday unless I have a competition. I also meet with my academy coach once a month for 4hrs – this is normally on a Sunday at Perris. Q: What do your friends and family think of your commitment to the sport? A: My family are proud of me, I know they have to juggle things to take me to camp/competitions, but they are always behind me. Chantelle my little sister doesn’t mind too much. My friends are really supportive, they always ask me how it’s going and how I got on. They understand I can’t always meet up outside of school, but they still ask me. Deanes are really supportive, they help with training, allow me extra time for homework, when I have problems with my hips/ankles they have even arranged for me to see a physio. Q: Is there a top archer you admire or ‘follow’? A: In general I like watching any Korean archer as they are so consistent. Working with Songi (Woo – top Korean coach) was so amazing as was shooting along side Nicky Hunt up at Lilleshall. I also like watching Naomi Folkard and Brady Ellison. Q: Do you have any long term goals (presumably Olympic glory!)? A: I am proud of wearing my RTAC shirt, having shot for Essex I would love to earn the right to wear a GB shirt and of course ultimately shoot on the worlds/Olympics. Q: Do you have a favourite piece of archery equipment? A: At the moment it would have to be my long rod, in the coming months I may need to change my riser, limbs and arrows as I have grown again. I am hoping to get a green riser so I am sure this will become my favourite item. Q: Finally, can you describe your best moment/greatest achievement in archery so far! A: Best moments are being asked to join the academy and being 1 of 8 juniors to be asked to train with Songi during last summer. Achievements last year: I came 2nd and 3rd at the outdoor nationals, and 2nd in the indoor nationals. Brian Henning: cornerstone of the club! Q: How, where and when did you get started in archery? A: Cowboy and Indian films and Robin Hood films on saturday mornings, ‘kids’ film matinees, then TV shows of the same, had me making my own bows and arrows at age nine or ten…I improved the arrows with dart points, and used my dad’s tools as I tried to become a bowyer – which worked after a fashion. An uncle must have seen my efforts: sometime later he presented me with a real longbow! Later, probably at secondary school, I got into other sports: rugby, cricket, and swimming, the bow forgotten…then sailing and dinghy racing took over until I started work in a school as a technician. One of the teachers mentioned an archery class taking place which I started attending twice a week, initially with my old longbow but I was soon introduced to a more modern green fibreglass longbow – recurves and compound bows had yet to be developed! Unfortunately for my archery I was introduced to squash which took over my leisure time, as did scuba diving until family commitments prompted an end to both and a move to Wickford. Eventually, I regained some free time and joined a beginner’s course in 2009: new bow technology, new techniques – I was once again hooked and archery quickly took over my life! A: In winter, I try to shoot at all of our indoor sessions (Westwood, Deanes and Pope John Paul Hall), and in summer I try to get to Runwell on Sundays and most late weekday afternoons. I also shoot at home, shooting indoors down my hallway – 7.5 yards at some custom-printed 20cm target faces! Q: What do you enjoy about the sport? A: Archery, unlike many others, is a sport you can practice on your own when and where convenient and practice or compete in, what I’ve always found to be convivial company, at other times. It is you personally against the course; nothing anyone else does should affect your results. The only other one I can think of, with the same roots of course, is darts. Q: Describe your best moment/greatest achievement in archery so far. A: Every time my score is good enough to be included in a match score! Fantastic way to end 2013: Andy ‘Records Officer’ Reeves has compiled our club records from a number of disparate historical sources into the most up-to-date list. Check out the records here. Ian Bushell, our Team Captain presented his report for 2013 at this year’s AGM held on Weds 2nd October. Andy Harris postal league 2012/3: RTAC were next to bottom of Division 1 and so were demoted to Division 2 for 2013/4. 2013 Outdoor (Albion) League: The team made steady improvements throughout the year in their first season in Division 1 for some years and were placed 4/6. I have great hopes for the 2014 season due to new talented team members and wonderful scores by Tim Davies. This winter the club has entered both Juniors and Seniors for both the Andy Harris and the Bray 1 postal leagues. I will try to email recurve archers early in the month to encourage participation. It is my impression that there is more enthusiasm in the club than has been the case in the recent past. We have had keen and talented archers transfer to RTAC from other local clubs and feedback from them indicates that they feel that we are friendly, welcoming and have a competitive ethos. The club outdoor shooting range is one of the best equipped and scenic grounds in the county. The beginners classes have also fed into the club some talented and enthusiastic archers. The immediate outcome of this is that I canvassed some of the archers and found that they were keen to compete during the winter, leading to our return to the Bray1 league where in November the senior team will compete against the junior team! As Club Competition Secretary I now have about 12 talented recurve archers from which to pick a team for the Summer Outdoor League. This is a welcome change from the times when we were struggling to field a team of 5. Next year I will ask interested archers to submit their scores for rounds to the Records Officer and will use these as a basis for team selection. Go West(wood) on September 10th! Please note that we continue shooting at Westwood Academy on September 10th 2013 (second week of the new term) following the summer break.